So You Want to Own a Doggy Daycare? We owned Playful Pooch Dog Daycare and Boarding facility for seven years in Denver. We bought it from a couple who had opened it eight months earlier and they had barely survived their first holiday season when we met them. They had actually closed down the place for the entire month of January as their business tapered off after Christmas, which is unheard of in this industry. Doggy Daycare never has a day off, people need their pooches to play everyday, through snow and rain, cold and heat, and gloom of night, you know just like the postal service. They were running this little daycare by themselves, and in fact the wife was still working full-time as a nurse, so the husband had to manage the front office and the back play areas at the same time while cleaning, feeding and administering medications. That sounds really safe doesn’t it? In truth most facilities operate exactly the same way even today. 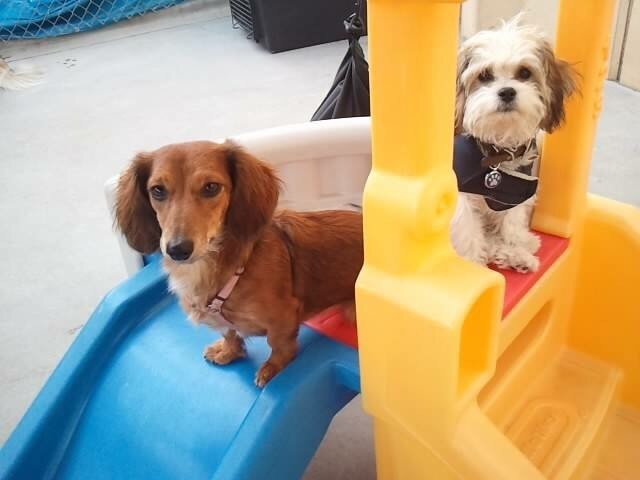 There are currently over 100,000 Dog Daycare facilities in the US, along with many other “Boarding Only” facilities and some, like our business which offers both services. The average number of employees in these small businesses are only two, which works fine with the “Boarding Only” places because the dogs are in kennels and private runs all day long. But how can a Doggy Daycare operate well with only two people? The answer is they don’t. It can’t be done and yet there are thousands of places that are run by a couple, like the prior owners, or us in the very beginning, or by two sisters or friends who always thought it would be so much fun to play with doggies all day long. The reason they decide to keep their staff count to a minimum is simple math. It costs thousands and thousands of dollars to keep the doors open every month and the revenue doesn’t roll in evenly throughout the year. If they don’t have deep pockets of reserves, they fail overnight. No one ever does much research about the business, being too enamored with the thought of being surrounded by cute dogs all day long. There was very little written about the industry when we bought our business in 2007, except for one thin book written by Robin Bennett which is still one of the industry standards. Now there are numerous books and websites that offer to help you with your start up needs, but they all forget one thing. The importance of a thorough understanding of business or finding someone that does to help analyze the operation regularly. Without that, the margins will be ultra thin and they will work like crazy, barely surviving their first year. 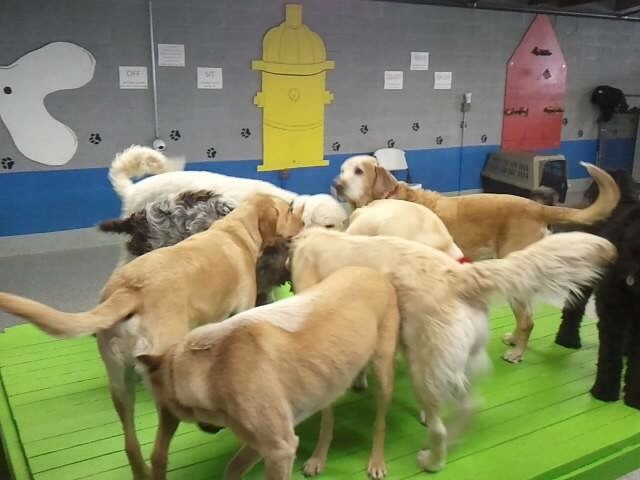 The Doggy Daycare concept started in the late 1990’s in big cities like New York and San Francisco where no one has yards for their dogs to run in, or the desire to take them for walks in cities made of concrete. The idea caught on quickly and soon there were a few classes offered by the new industry experts on how to set up a daycare facility and rake in all that promised dough. A few brave souls jumped on the bandwagon and we eventually learned about their stories once we were part of an industry support group in Denver, Colorado Association of Dog Daycares which still operates today, bless their souls. The one thing that no one realizes is that the promise of getting rich quick is far different in reality than what you read about or dream about. 25% of these businesses fail in the first year, another 50% in the second year, with only an exhausted 12.5% surviving the long haul. A lot of these couples have invested more than $200,000 with a franchise that filled their heads with promises of the golden land, and more money than you can count. Most of these wanna be entrepreneurs have left their “real” careers behind, sometimes out of choice and other times due to changes in the economy. Will lost his consulting job of eight years as the company downsized and hired an in-house employee that would be cheaper. In early 2007, the real estate development company that I was a partners with, was struggling to survive and assumed that more was always better, and that by adding adfitional new projects they could survive the weakening sales. What they didn’t know was that the recession hadn’t fully hit yet and worse things were yet to come. The overwhelming majority of these new daycare owners have no business background, don’t know how to use business tools such as Quick Books or Excel to properly manage and analyze their operations every month, not just at year end when their accountants hand them financial statements and their tax return. Even fewer know how to use a credit card machine, not having been a requirement for a nurse in her job. So they sign up with franchises hoping they will take care of all their business problems. These companies take a huge percentage of the sales, not the bottom line so they could care less if the small business is profitable or not. They get their up front money and make some money for the first year or so. That couple or sisters or friends are now wondering what happened to all their money and hard work. And yet retired bankers, teachers, nurses, marketing guru’s and ex-stay at home moms want to own a doggy daycare with little regard to the demanding work, the required business training, attention to detail and loads of money needed to open and run a business like this. It just sounds like loads of fun playing with dogs all day long. We used to chuckle when we asked potential employees why they wanted to work with us. If they answered with “I love doggies,” it was the kiss of death. 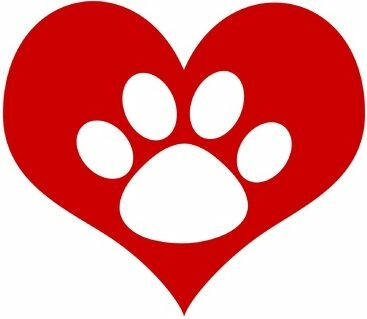 We were looking for staff that said they love caring for dogs when they are lonely or sick, watching over a group of crazy wild houligans, cleaning dirty kennels or working every single holiday in the blazing heat or the middle of a blinding snowstorm. We were looking for people like us. This series will explain how to own and operate a successful Doggy Daycare business that can earn over six figures a year. Next Roxie’s Results Are In! You must have lots of dog stories to tell. I’m actually writing a book about our experience and it’s almost ready for the publisher!